Ecuador has a variety of traditional dishes according to the area, region or culture. This tour will take to discover new flavors and sensations. During the second day, you will experience the “Six senses tour”. A bunch of activities that you can choose to live the experience of flavors, tastes, and sounds. At 07:30, departure by bus to Otavalo. The stretch Otavalo to Ibarra is operated with an steam locomotive across the northern valleys. Visit to woodcarving workshops at San Antonio, discovery of local traditional food in Andrade Marin and a show of local music and textile weaving at San Roque train station. Journey across the Avenue of the Volcanoes, exploration of Andean woods an ecosystems at el Boliche area, in Cotopaxi National Park, amazing views of Yambo lake and visit to Baltasar, the last ice-harvester in the Chimborazo slopes. Riobamba – Colta with steam engine, visit to one of the very last Andean indigenous market: Guamote. Devil´s nose crossing and the impressive climatic transition while traveling from the Andes Mountain Range to the Pacific coast. Cacao and chocolates tasting at Naranjito in a Coastal Hacienda. 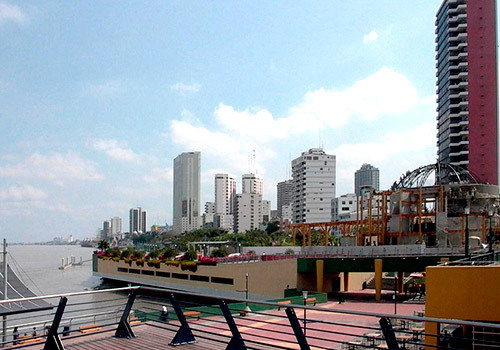 Yaguachi to Duran (Guayaquil) with steam engine. Arrival to Duran train station at 16:45. The tour guide will be waiting for you to take you to your hotel. This is the “Spondylous Route”day, this road has many kilometers next to the beach. The Spondylus route has some of the country’s most beautiful natural areas, as well as elements of its culture, history and pre-Columbian archeology. Here you can feel the importance of Ecuadorian culture, the route takes its name from the spectacular Spondylus shell which had significance to the ancient Valdivia culture in Ecuador. Evidence of this ancient culture and others have been uncovered in the archeological excavations that you can find on the route, which also include spectacular beaches, tranquil nature reserves, wildlife, majestic mountains, and breathtaking scenery all along the way. After this, you will return to Drake Bay where the boat will be waiting for you to take you to the snorkeling place. Box lunch will be served on board. After this, you will snorkel for approximately 30 minutes, where you might see tropical fishes and sea turtles. After this you will start the return trip to Puerto Lopez. After breakfast, we’ll drive to Manta, where you will take a flight to Quito. In Quito, somebody will be waiting for you at the airport to take you at your hotel.